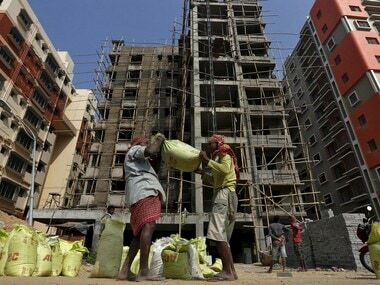 New Delhi: Recent government reforms like real estate law RERA, interest subsidy scheme for home buyers along with GST have helped improve housing demand in recent months, realty major DLF's Chairman KP Singh said. 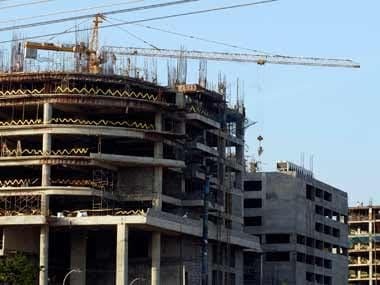 The Real Estate (Regulation and Development) Act (RERA) shall undoubtedly boost consumer confidence and pave the way for an accelerated demand for housing products and facilitate the flow of investments into the real estate sector, both from global and Indian investors, he told shareholders in the annual report for the 2017-18 fiscal year. The implementation of RERA, which came into effect from May last year, would also streamline norms for transparency and a compliance mechanism for timely delivery of good quality housing projects, he added. He noted that RERA has been well supported by the implementation of good and services tax (GST) regime that would create a level playing field for the organised players and accelerate growth in the sector. "Real estate demand in the recent months has also received much-needed impetus with the Credit-Linked Subsidy Scheme (CLSS) for the middle-income group under the Pradhan Mantri Awas Yojna (PMAY). Your company (DLF) is well placed to capitalise on these opportunities in the business development space," he told shareholders. Talking about the importance of this sector, Singh said the key to the transformation of India's future lies in recognising the real estate sector as the principle engine of growth. 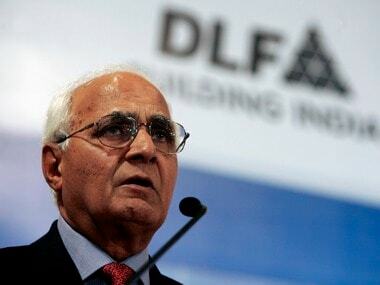 File image of K P Singh, Chairman, DLF Ltd. Reuters. The housing and construction sector has a multiplier effect on the entire economy, he said, adding that this sector contributes significantly to the gross domestic product (GDP). Referring to studies, he said construction as a whole account for 11.39 percent of the total economic output. "Moreover, every rupee invested in the housing sector results in an addition of Rs 1.54 to GDP; and if the household expenditure is also taken into consideration, the contribution adds up to Rs 2.84," Singh said. To protect the consumers' interests, Parliament had passed RERA in 2016 and the law came into force from May 2017. Some states like Maharashtra and Haryana have set up regulatory authorities, others are in process of doing so. The legislation upholds the spirit of federalism by allowing the states to set up the regulatory authority and the appellate tribunal. The role of the central government is limited to Union Territories without the legislature. RERA seeks to balance the interests of the consumers and the developers by imposing clear responsibilities on both. It aims to establish symmetry of information between the promoter and the purchaser; transparency of contractual conditions; set minimum standards of accountability; and a fast-track dispute resolution mechanism. Among main provisions, RERA introduces the concept of using only 'carpet area' for sale instead of the super area and super built-up area. It provides for a model agreement between developers and homebuyers. To prevent fund diversion by developers, RERA makes it mandatory upon the promoters to deposit 70 percent of the funds, received from the allottees in a separate bank account, to cover the construction cost and land cost of the project. Real estate brokers too have been brought in the purview of this law. The law provides for a mechanism to settle disputes between promoters and home buyers.